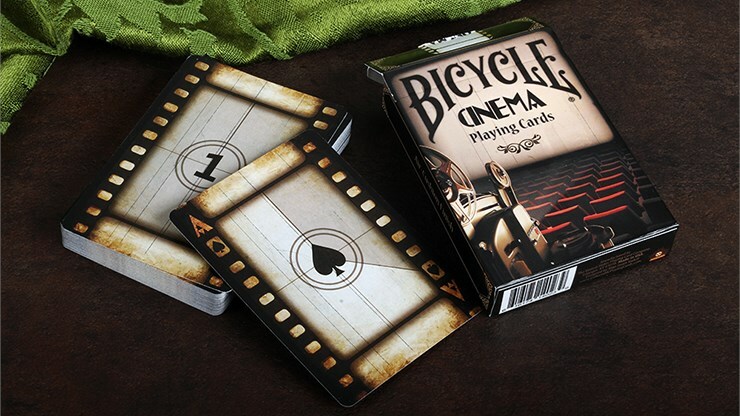 The deck of Bicycle Cinema Playing Cards brings the magic of old time movies to playing cards. 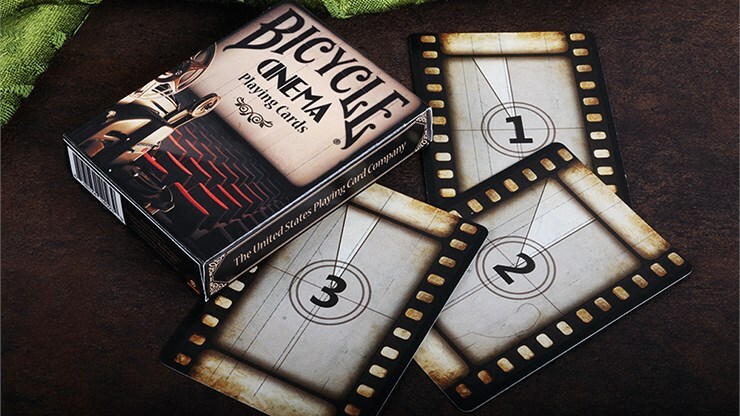 The card design looks just like a film strip, with the cards having a classic yellowed finish to give a nostalgic and old time look. 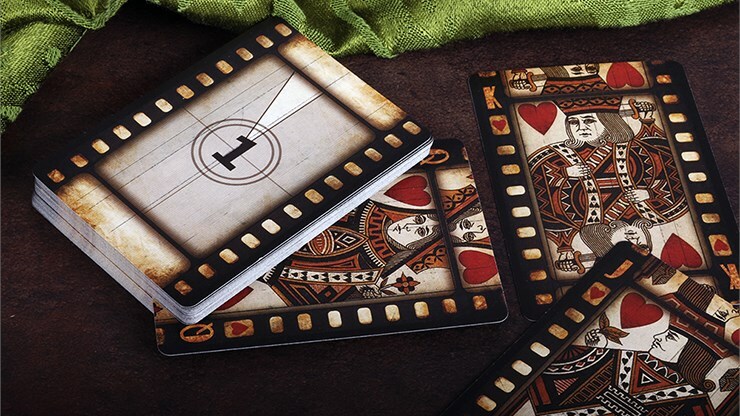 The numbers and the pips are carefully positioned along the sides inside the film strip. 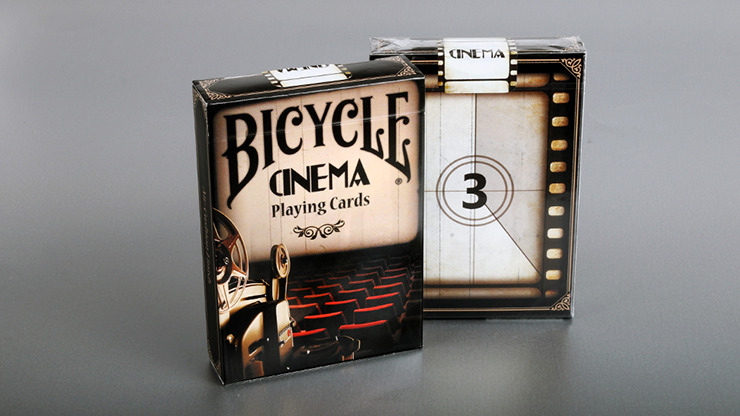 This is also the case with the number cards, which have a similar yellow tint. 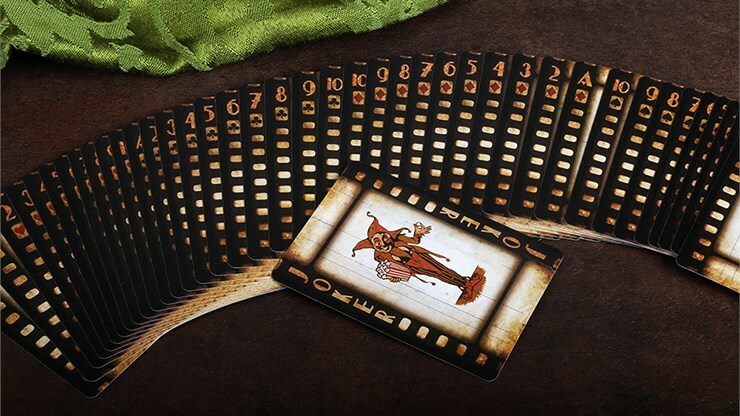 One of the really unique things about this deck is the animation feature - you can flip through the cards to do a 3-2-1 count-down, just like in the old movies. 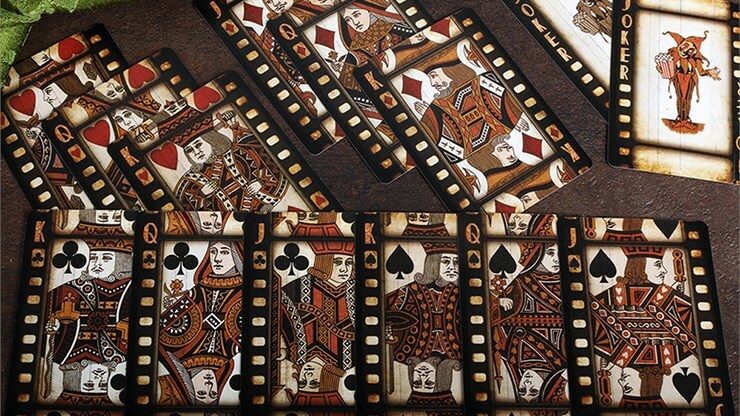 The film strip sides also appear to move vertically during this animation, which looks really cool. The Joker features a jester with popcorn, waiting for the film to get started.